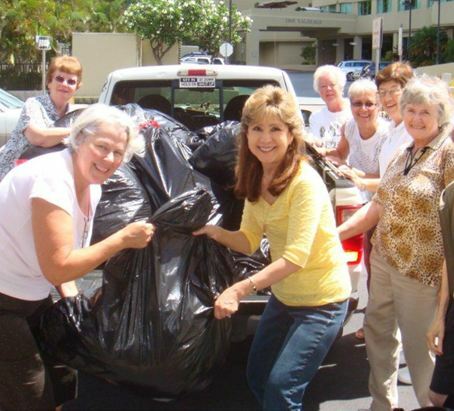 Assistance League of Hawaii’s Share Program allows our member volunteers to donate usable clothing and accessories that are not sold in our Thrift Shop to other nonprofit agencies who can share them with their clients. 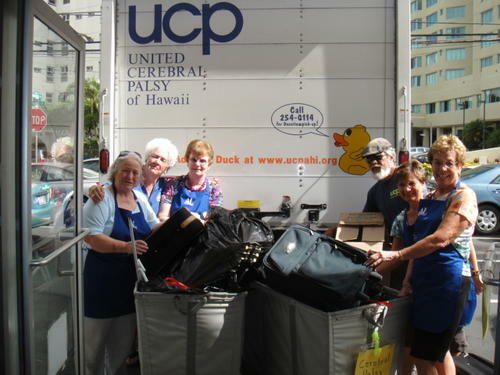 Items re-distributed are valued at approximately $15,000 each year by other nonprofits. Over 10,000 needy recipients benefit each year from this program in our community. Assistance League of Hawaii shares donated eyeglasses with Lions International to support their eye health programs that have recycled prescription eyeglasses worldwide for almost 100 years. Items such as toiletries, toothbrushes and grooming supplies that are donated to our Thrift Shop are passed along to area homeless shelters and missions, serving over 5000 recipients. We take pride in sharing and recycling donations. We strive to make the most of every donation we receive.